Was drinking this last night over at dinner. It was a sample sent over from my supplier who is hoping that I carry this line for them. I was very skeptical initially after having dealt with similar samples in the past which I am sad to inform you that they are all crap. 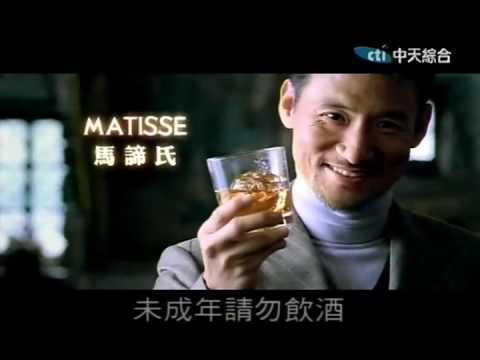 My past bad experiences includes Ibis, an XO category cognac, which I thought was an XC (Xtra CockroachWater), and Matisse Whisky whom Jacky Cheung must have loved the added caramel colouring (yes, it is actually listed in the ingredient list) so much that he became their endorsing spokesperson. So here I am, presented with a very very ugly bottle of whisky which originally I thought, as a result of its name, was from some cheapo Eastern European country. As it turned out, it is from Ta1wan which I don't know to think if that is better or worse than something churned out from a distillery in some obscure Eastern European country. Still, I kept an open mind about it and reminded myself to be as objective about it as possible. This bladdy thing is ACTUALLY NOT BAD. The whisky is surprisingly easy to drink and has a good flavourful body. I am not sure if it is really that "not bad" (I have yet to make up my mind to say it's good) or if I had initially set the bar soooo low that I got "blown away" by this, even if in actual fact, it is just mediocre? Anyway, this distillery is so new that it has yet to earn it's first candle on the cake. I do, however, like their tag line very much. "The 1st Step Towards A Hundred-Year Distillery"
I like it. It is honest, unpretentious, straight to the point and oozes ambition. Well done. The ConcertMaster, one of 4 varieties that they currently offer, has definitely earned my interest to want to find out about the other three as well as to seek the all important "price". Unfortunately, as much as I am impressed with the whisky, I am certainly not impressed with the pricing. My guess is that it should be retailing in major stores for about what? SGD 100 to 125 (700ml duty-paid)? Wait till these bottles get to the shelves of the bars, pubs and restaurants. Then you will really see the numbers skyrocket. For something non-vintage (aged for 3 years only coz they say Ta1wan climate warmer and so aging process sibeh fast fast), no history, no market perceived value, I say it is too much to pay that kind of money solely for the product content. Heck, they should even compensate me for looking at their fugly bottle.